Once again it is that special time of year! Special times with friends, special times with family… sippin’ Eggnog and listening to local artists playing and singing sometimes original, usually good Christmas Tunes on the yearly Fretted Instruments Christmas CD. 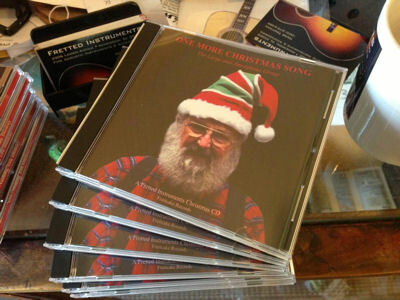 You just can’t find a better Christmas CD at this price! Drop by the store for your copy and ask for the MusicSceneAL discount!